Product knowledge is a key, but often overlooked, aspect in the consumer evaluation of alternatives (Dodd et al. 2005). The presence or absence of knowledge structures should affect the types of information processed and the processing heuristics used by consumers (Bettman and Park 1980). This is especially true in the brand diverse and complex product category of wine (Allen and Germov 2010; Charters and Pettigrew 2007; Chocarro and Cortiñas 2013; Plassmann et al. 2008), where consumer evaluations of wine can differ substantially based on varying levels of product knowledge (Vigar-Ellis et al. 2015a). 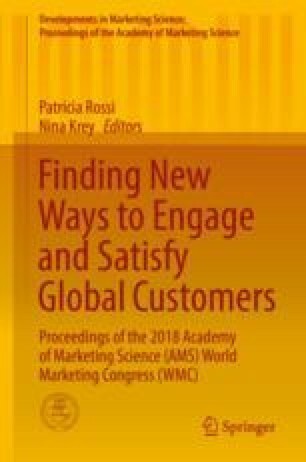 A better understanding of a wine consumer’s subjective product knowledge, how much a consumer thinks they know about wine, as well as their objective product knowledge, how much a consumer objectively knows about wine, may considerably impact the effectiveness of strategic market segmentation (Dodd et al. 2005; Robson et al. 2014; Vigar-Ellis et al. 2015b). The purpose of this paper is to examine the influence of product knowledge, both subjective and objective, on the relative importance of four extrinsic product attributes of wine, namely, price, age, brand and region of origin, in the absence of tasting the actual wine. The relative importance of these attributes is evaluated in comparison to consumers’ self-reported and objectively measured knowledge of wine, using the conjoint analysis technique. The results suggest that product knowledge does influence the relative importance of extrinsic wine attributes in product evaluation, with the price of wine shown to be the dominant attribute regardless of the level of product knowledge expertise. Across all four levels of product knowledge, consumers navigate their evaluative product decisions according to the midpoint between the most and least expensive wines in their consideration set. Price sensitivity appears to heavily impact consumer evaluation strategies, which serves to inform wine pricing strategies when scoping price elasticity across the various consumer segments based on wine knowledge.